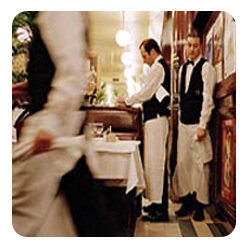 The La Coupole brasserie was made famous by some of the greatest intellectuals of the 20th century including Hemingway and Cocteau. 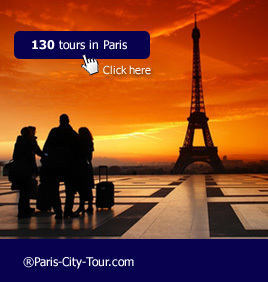 Today it has been restored to its former 1920's glory and offers a great Parisian experience. Soak up the atmosphere over a delicious three course dinner. A romantic Seine River cruise follows… glide along the river and admire the most beautiful bridges and monuments of Paris. Conclude the evening with a visit to the famous Moulin Rouge. Witness the newest show Feerie bursting with energy in the pure tradition of its famous French Cancan. Féerie consists of: a troupe of 100 artists, including the 60 Doriss Girls; 1000 costumes of feathers, rhinestones and sequins and set up in the most famous Parisian workshops; sumptuous sets in shimmering colors uniquely designed by Italian artists; the best outstanding international acts; and the awaited return of the giant Aquarium, all this performed to original music recorded by 80 musicians and 60 members of the chorus. Should you book the coupole dinner + cruise + Moulin Rouge tour in advance ?